Hawaii. We have so much to thank it for. Well, now we must also thank it for some fantastic home decor! 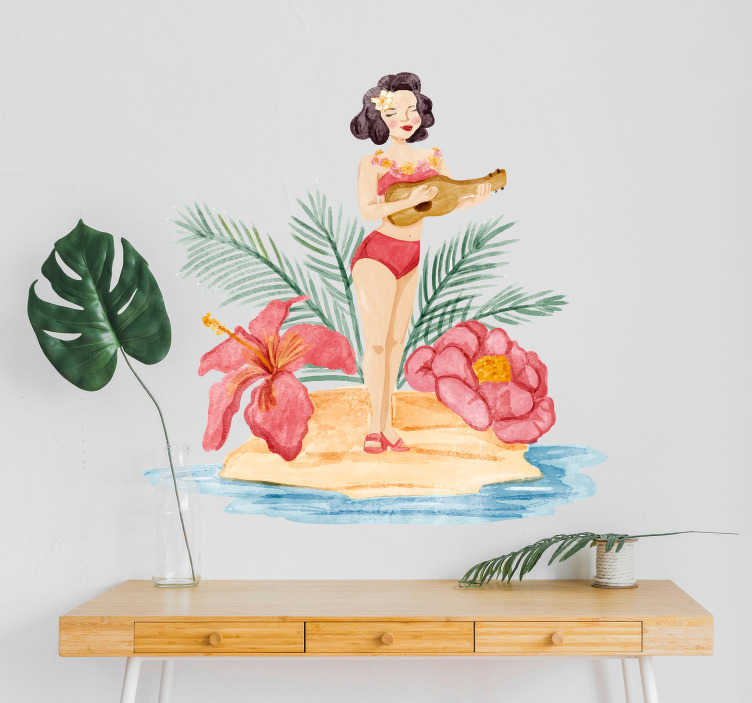 That is because we at Tenstickers have created a stunning wall art sticker, depicting a woman surrounded by flowers in a Hawaiian environment!